Think and Oh Give Thanks to the Lord! This month November Think and Thank the Lord for his many blessings. We have been on bragging on God for 14 days now. 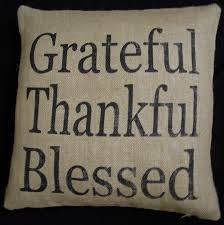 During this 30 Day Season of Thankfulness, Brag on God for 30 days of thanks. Everyday give thanks. Of course we should always give thanks unto the Lord. Of course we should have grateful hearts all the time. Giving thanks is remembering what the Lord has done for you and to you, your family and the community. Praise is honoring the Lord for who He is – the Lord of Lords, the everlasting King. Remember to give thanks unto the Lord for all that He has done. Thank God for his timing and faithfulness in provision. Thank God for His peace. Think about His goodness to you and how He has allowed you to see another day .He has protected you from dangers seen and unseen. He has…. Begin to think and thank the Lord. Think and meditate on his loving kindness to you. Then begin to thank God and brag on Him. Day 15- Be Grateful. Brag on God with a grateful heart. Be grateful, thankful and know, walk and talk like you are blessed. Think about the grace of God in your life. 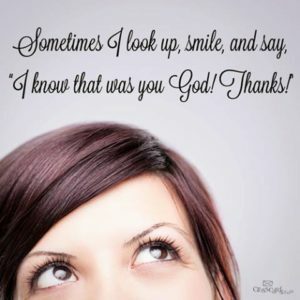 A Season of Thankfulness: Brag on God series. Think and Thank. Day 16- Brag on God with thanksgiving and praise. Think about His goodness to you. Thank Him for all He has done for you. What are you specifically thankful for? Thank Him for all He has done! Day 17- Brag on God and be Grateful. Tell Him how grateful and thankful you are. Think of His grace and greatness. Now let Him know you are grateful. My God said he’d never, never forsake you! Be Grateful (Be Grateful) oh yeah! God said he would, he would never, never forsake you! You are currently browsing the archives for the Season of Thankfulness category.